Where’s that mistletoe when you need it most? 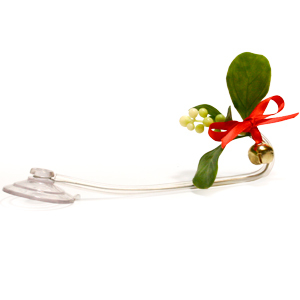 With Mistletoe-To-Go, it can be anywhere you are!! 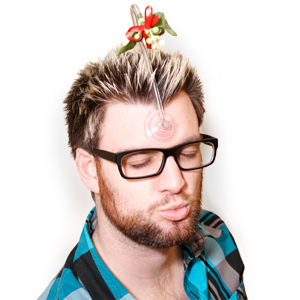 When you affix the suction cup to your forehead, the mistletoe is perfectly positioned to dangle above your head!! haha I LOVE it!! It’s time to start practicing some lip puckering. It’s not just any other bear!